Sarah Clark was the daughter of Captain John Clark and Sarah Taylor of Londonderry, New Hampshire. Sarah Taylor was the daughter of Samuel Taylor and Eunice Lancaster, and the granddaughter of Scots Irish immigrants Matthew Taylor and Jennet Wilson. 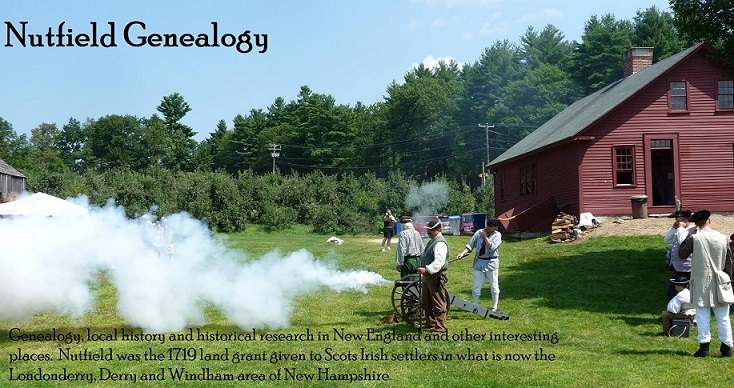 Sarah was born in what is now the town of Derry and was educated at the Adams Female Academy and the Gilmanton Academy. Sarah Clark became the wife of Reverend Abel Knapp Hinsdale, and served with her husband as a missionary to the Armenians from June 1841 to 21 October 1844. This was called the “Mission to the Independent Nestorians”. The Persian Christians were called Nestorians, but called themselves the Chaldeans. Sarah’s husband, Reverend Hinsdale, died in Mosul, in what is now Iraq, and was buried in the courtyard of the Syrian Orthodox church of Mar Toma (St. Thomas). This church in the Khazraj neighborhood of Mosul was reported as destroyed by ISIS in July 2014. Sarah stayed in the Middle East for another ten years and continued as a missionary teaching children in Constantinople (Istanbul, Turkey). She had two children while in the Middle East, but they both died young before their father’s death in Mosul. She retired to Derry, where she lived only another two years. Sarah Clark, daughter of Captain John Clark and Sarah Taylor, died 10 June 1857 in Derry, New Hampshire; married the Reverend Abel Knapp Hinsdale, son of Abel Hinsdale and Mary Knapp. He was born 6 October 1807 in Torrington, Connecticut, and died on 26 December 1842 in Mosul, Mesopotamia (now Iraq). He was the grandson of Reverend Joshua Knapp. For more information see Hinsdale Genealogy: Descendants of Robert Hinsdale of Dedham, Medfield, Hadley and Deerfield, by Herbert Cornelius Andrews and Sanford Charles Hinsdale, 1906. Available to read online at Google Book Search.